Many Salt Lake City residents enjoy the 9th & 9th neighborhood—the intersection of 900 South and 900 East—with its shops, restaurants, bakeries and overall relaxing, eclectic atmosphere. However, you may have overlooked the wonderful bakery Panaderia Flores, because it’s found at the other 9th & 9th: 900 South and 900 West. This is also an area of shops and restaurants—many with an international flair—just two miles from the better-known coordinates. Inside Panaderia Flores, I was hit with the most delicious aroma. The cases were packed with pastries, but nothing was labeled and there were no prices listed. Still, everything looked beautiful—and my next quandary was just how many I could eat, as the variety of pastries I purchased came to just $3.71. The pastry selection included a pineapple turnover, a tostada (not what you are thinking) and something called an elephant ear. My favorite was the tostada; it was the size of a plate, and had a caramelized, burnt-sugar flavor. It was flaky yet crisp, and every few bites revealed a beautiful patch where the caramel and sugar had pooled and dried. 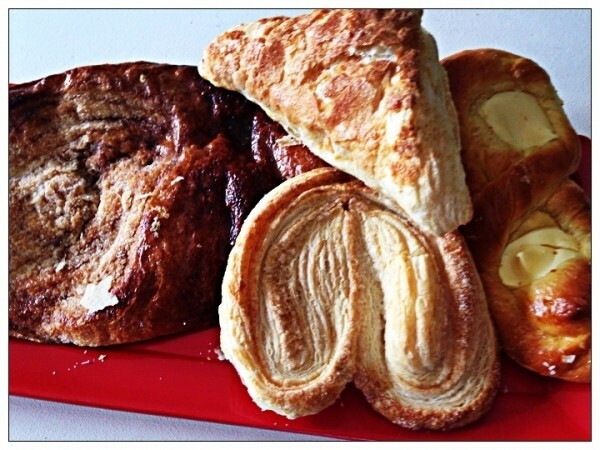 The elephant ear and pineapple turnover were both silver-medal contenders. Panaderia Flores doesn’t promote itself much, despite having two locations. It does, however, give you the opportunity to enjoy many authentic pastries for a great price in a relaxing, eclectic atmosphere—just like its counterpart coordinates to the east.